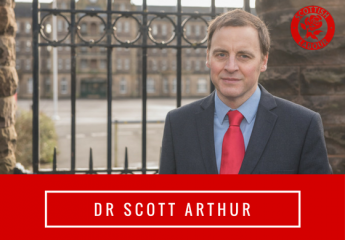 The Greens failed their own test when they cut Edinburgh’s Budget. The Greens sold out on Pledge 1 & 2. It is hard not to like Edinburgh’s Green Councillors. But whilst they are a great asset to the city, they do come with two drawbacks. The first, of course, is their inability to really stand up to the SNP and the second is how numbers often appear to confuse them. Councillor Gavin Corbett’s opinion article on how “Edinburgh is £27m better off thanks to [the] Greens” is a great example of both. Of course, it is an open secret that for the 2017/18 budget the Greens thought they’d protected local government spending. The problem was, however, that they did not quite understand the difference between revenue and capital spending – they’d been duped by their Nationalist masters! This year numbers appear to be getting the better of them again. The “£27m better off thanks to [the] Greens” line is based on quite pessimistic briefings from the SNP Government designed to make Edinburgh grateful for the cuts handed to Scotland’s Capital by the Nationalists. In fact the Greens managed to lessen the cut destined for Edinburgh by £12.4m. This is a very welcome improvement, but it does not live up to the Green pledge to only support a deal that delivered “no cuts to council budgets” and provides a “fair public sector pay rise”. Council Officers have confirmed that the likely pay rise is not fully funded and that Edinburgh’s budget has been cut by the Greens. They sold out Edinburgh to keep the SNP’s elite happy. As if that is not enough, Councillor Corbett wants to make matters worse with a plan to plant 6,000 street trees in our city. I’ve been working hard with residents in my Ward to have dead street trees replaced with ones which attract pollinators, so I know they are not cheap. The trees must be placed in special planters to stop the roots damaging pavements and the footpath must be made good. The cost of this is up to £1,000 per tree, so 6,000 would cost £6m. If this really is a Green budget priority, they need to be clear about what else they’d cut to fund it. The Greens have sold Edinburgh short and an unfunded plan to plant 6,000 trees won’t hide that.